Sometimes you get luck in life. Several years ago my kids bought me a Cowboy & Indians magazine for Father’s Day. In it was an ad for Steve’s rides. 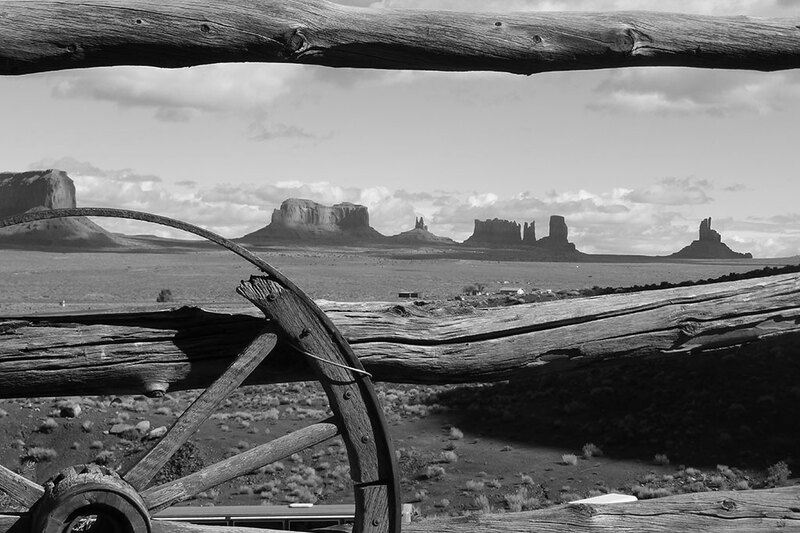 I thought I would try one and chose John Wayne’s Monument Valley Ride. It was everything and more of what I thought it would be. Then I saw Steve’s Comanche Moon ride and I knew I had to go. It was far better than I imagined it would be. The plains of Texas are spectacular, the museums first rate. Our horses were well trained for every level, and the wranglers went out of their way to make us comfortable. I would highly recommend this ride for anyone interested in history of the Comanche Indians and the Texas Rangers. This was my 6th ride with Great American Adventures, which should say something in itself. Steve and Marcie continue to find fantastic locations to ride, and then go so much further by finding all the pertinent historical places nearby to round out the experience. If you’re a history loving wannabe cowboy like I am, it doesn’t get any better. Additionally, Steve and Marcie always make sure that everything goes as smoothly a humanly possible, no small task when “herding” an enthusiastic group. As I said before, this was Number 6 and I’ve already signed up for Number 7, “Ride the REEL West” … Yee Haw!! I really enjoyed the Comanche Moon Ride. Steve and Marcie made a wonderful week of riding, museums, history and food! Inspite of the wet weather conditions – normally dry if not drought conditions this time of year – this ride was very enjoyable. Of course, some great Plan B and C’s were incorporated to compensate, but all-in-all we rode four days out of five scheduled, rode into the canyon and along the rim and saw excellent views. The wranglers worked hard to make the riding go smoothly. Texas hospitality was fantastic, the food was “5 Star” and my horse “Casper” was a good riding experience for me and probably raised my skill level. Anyone looking for an adventure on horseback, rest assured that these are NOT “gimmick” rides. These are truly historical adventures, that are well thought out and well worth the cost. Steve and Marcie make these rides enjoyable for experienced as well as inexperienced riders. They include many worthwhile details regarding history and even slip in a few for some extra fun, and to top it off, they make everyone feel like they are part of the family, whether it is your first ride or a repeat. Monument Valley – which I did last year – and Palo Duro Canyon rides were awesome! Great American Adventures is a professional company and they do this right. Although I did go online and filed my “testimonial” for this ride, I want to write and tell Steve and Marcie we – my wife and I – had a great trip. Even with the weather issues, this was one of your best, and we really enjoyed it. Put me down for both your “Robbers Roost Ride” in Utah and your “Ride the REEL West” in New Mexico. Again, many thanks for a terrific ride. I don’t know how you keep making them better and better, but after riding with your outfit 14 times thus far, I am just glad you do! It was a great time and a great learning experience. Thanks for all your hard work. I want you and Marcie to know how much fun I had on this trip. I know things didn’t always go as planned at times, but you did a great job of pulling it together with very little to work with. The times we rode were great, as well as the spur shop in Canyon and the various museums. Good food, good friends and wonderful sites to ride to, who could ask for more. Thank you!